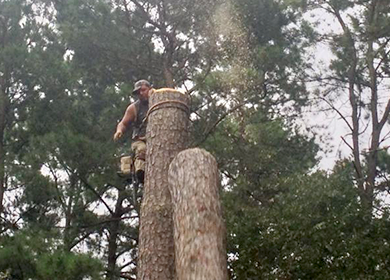 With certified aborists and highly skilled crew members, we offer a wide range of tree services Our services include pruning, trimming, tree removal, stump chipping, fertilizing, and right of way maintenance. Free estimates and 24-hour emergency service We offer free estimates and our storm damage specialists are available 24 hours a day in case of an emergency on your property. 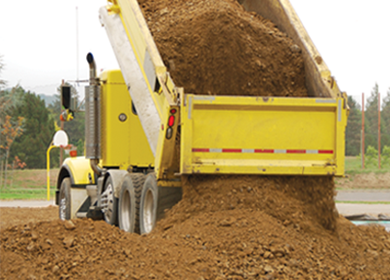 Licensed, Bonded and Fully Insured We are licensed general contractors in Arkansas, Louisiana and Mississippi and nationally certified by the International Society of Arborculture. Residential and Commercial Service No job is too big or small for our professionals. Contact us today to find out how we can take care of your needs. 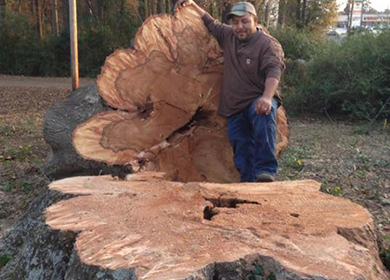 At Mac's Tree Service, Inc., we are proud of the reputation we have earned in the community throughout our history. We believe in working hard for our clients to ensure the best prices and best quality work from our tradesmen. And, we are committed to bringing integrity, performance, value and client satisfaction to each and every job. Located in El Dorado, we regularly serve communities throughout South Arkansas and North Louisiana. 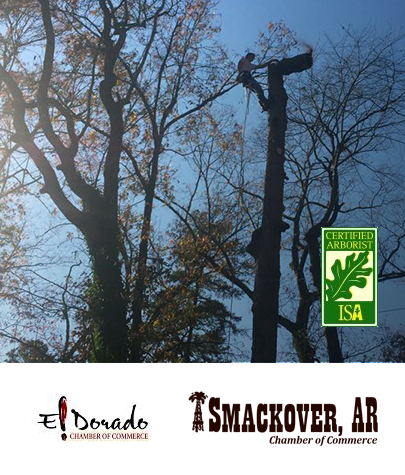 We are certified arborists by the International Society of Arborculture and members of the Chamber of Commerce in both El Dorado and Smackover, AR. All estimates are free of charge. To schedule an appointment, contact our office at (870) 863-8407. Why should I hire a certified arborist to care for my trees? 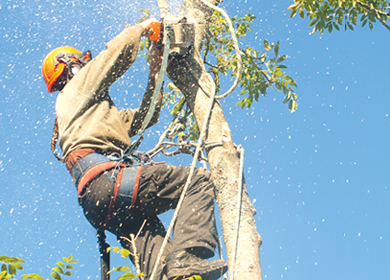 Poor tree care can cause harm to your home, possessions and even family. 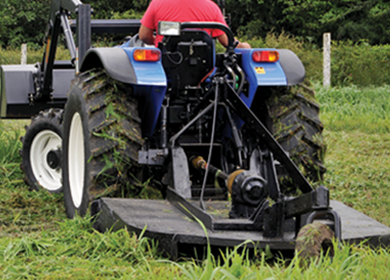 Removing and caring for trees can be dangerous without proper equipment and training. 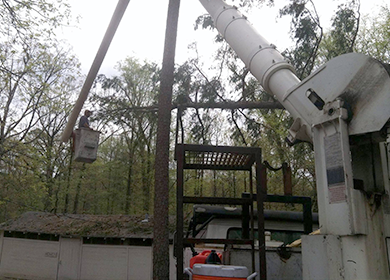 Certified arborists, like Mac's Tree Service, Inc., are specifically trained to plant and maintain the trees native to the area. 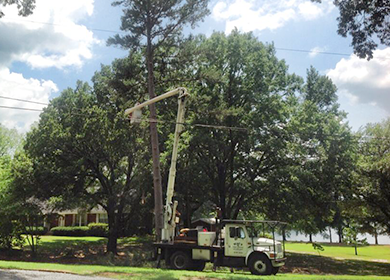 Tree pruning is important for a tree’s safety and health, as well appearance. Pruning trees will improve structural strength, reduce the risk of weather damage and stimulate healthy growth. 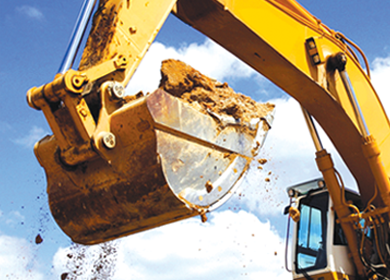 From small residential work to large commercial projects, no job is ever too tough! © 2016. Mac's Tree Service, Inc. All rights reserved.